Don't miss the latest happenings out of Morgins, including new lifts, terrain expansions, weather, photo galleries, infographics and current events skiers and mountain travelers should know about. Stay up-to-date on Morgins news and events by clicking on articles from the list below or page through to see coverage from the entire ski season. Valais ski resorts have invested in family-friendly lifts, beginners' slopes, and new hotels. Morgins is creating a two-and-a-half mile long ski touring circuit with web-published self-timing so you can test your skills against your own limits, and other's. Switzerland has arguably done the best of Europe's main ski nations through the warm December/January period this season, with the country's high slopes reporting up to five feet of snow when lower resorts were suffering with just a few inches. In common with the rest of Europe the country's ski areas are now being blanketed with heavy, on-going snowfall and low temperatures. 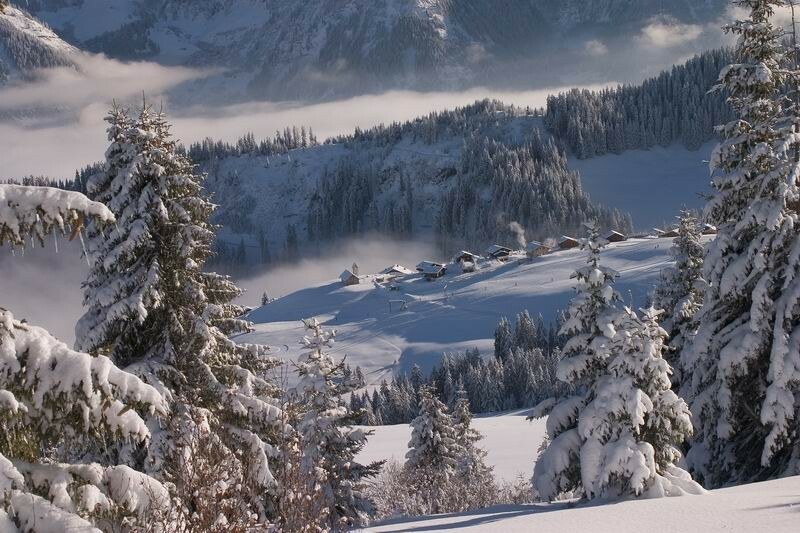 Get Snow Reports, Powder Alerts & Powder Forecasts from Morgins straight to your inbox!